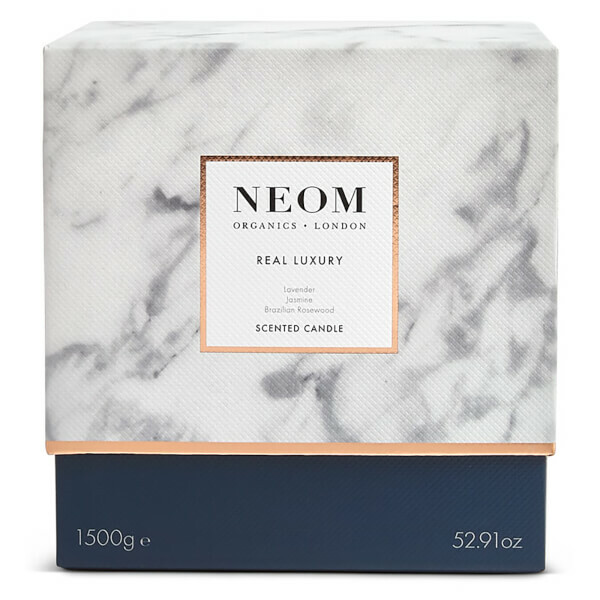 Designed to beautifully fragrance your home, the NEOM Real Luxury Ultimate Candle 4 Wick is blended with 24 of the purest essential oils to create an calming atmosphere in any room. 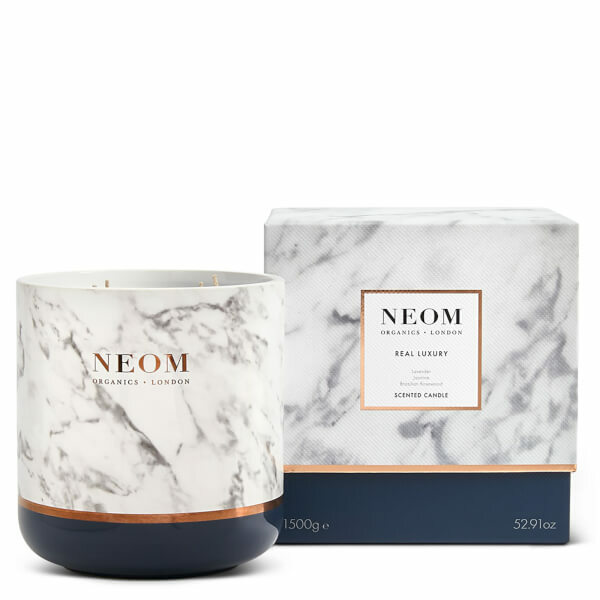 Hand poured using 100% natural wax with no synthetics or chemical binders, the scented candle burns cleanly and evenly; it releases a luxurious fragrance of Lavender, Jasmine and Brazilian Rosewood to help alleviate stress and promote a sense of well-being. 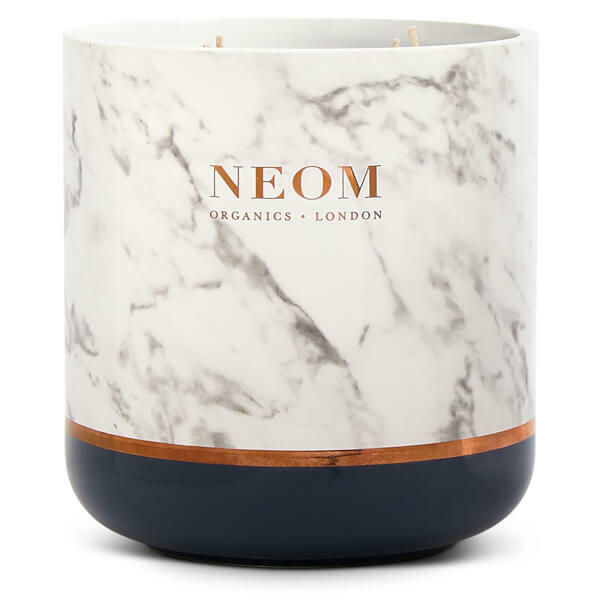 Housed in a handmade marble container with 18 carat rose gold accents and a matching gift box. Burn Time: Up to 120 hours.